At SXSW 2018 we celebrated the 25th Edition of the SXSW Film Festival and had the pleasure of sharing stories, memories, and reflections from our distinguished alumni. We had a blast telling these tales and want to keep the party going! Today we spotlight Patrick Brice, Kevin McManus, and Joel Potrykus. 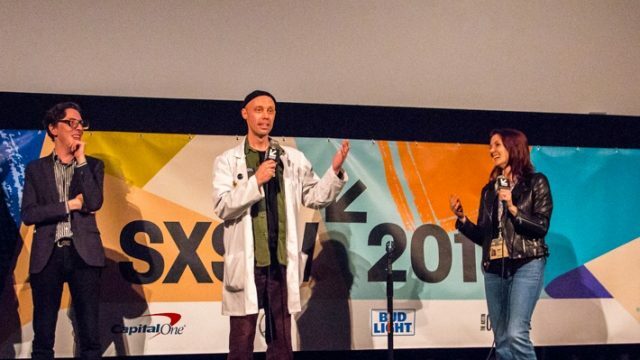 Brice world premiered his first feature film Creep at SXSW 2014. In addition to directing, he acted and co-wrote the film with fellow alum Mark Duplass. 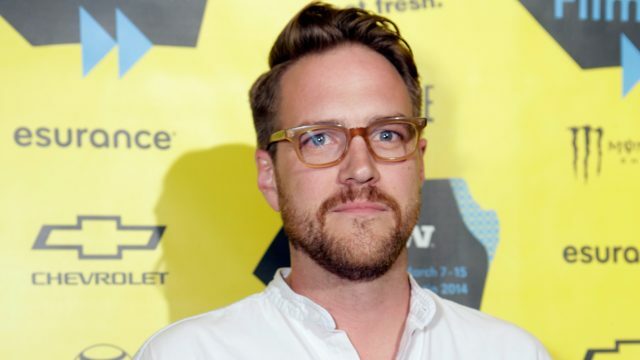 In 2015, the festival screened his next feature The Overnight. Recently, he made the sequel to Creep, titled Creep 2, and directed two episodes of the Duplass Brothers hit show Room 104. Brice’s third feature Corporate Animals is set to come out next year. 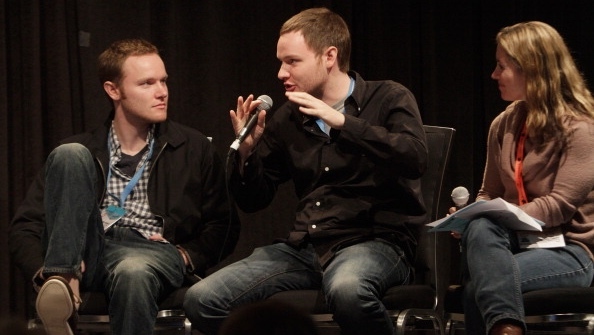 Kevin McManus, along with his brother Matthew world premiered his first feature film Funeral Kings at SXSW 2012.. His latest work includes the Netflix original series American Vandal, where he served as a writer and producer. McManus was nominated for a Primetime Emmy in 2018 for Outstanding Writing for a Limited Series, Movie, or Dramatic Special for the series with Matthew. “It sounds hyperbolic, but SXSW really changed our lives. We’ll never forget the feeling of receiving the acceptance email. We must have read it three or four times before we believed it was actually happening. It was such a surreal experience. Our whole team was so dead broke, we drove two days just to attend the festival, and then packed eight guys in a single hotel room. Despite all that, it will always go down as one of the best weeks of our lives. Potrykus has world premiered three films at SXSW: Buzzard (2014), The Alchemist Cookbook (2016), and most recently Relaxer (2018). In addition to writing and directing these films, Potrykus also edited these features.